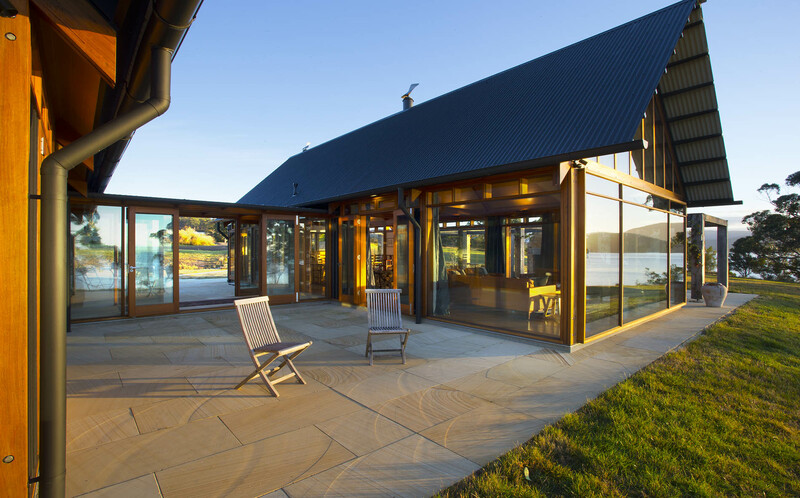 Set against idyllic water views two pitched-roofed pavilions are connected by a glass-walled link with double doors each side leading to the terraces. 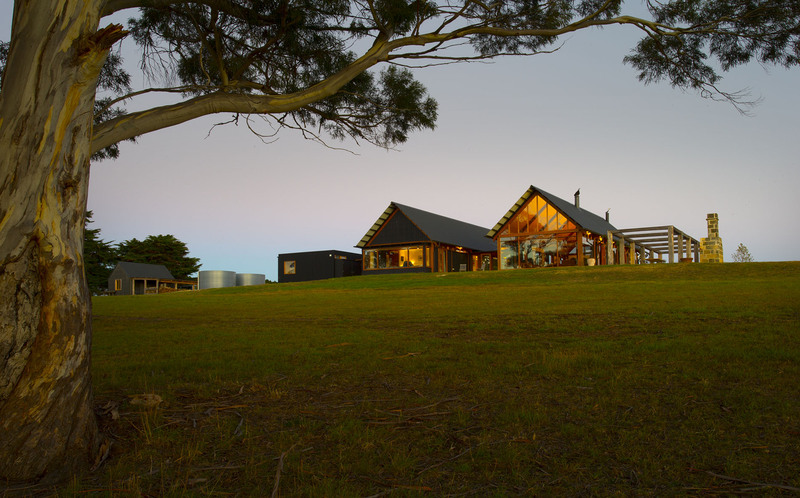 The longer pavilion is the sleeping area, with two double bedrooms (one with ensuite), bathroom, plus laundry, secluded library/sitting room and a study/gallery. 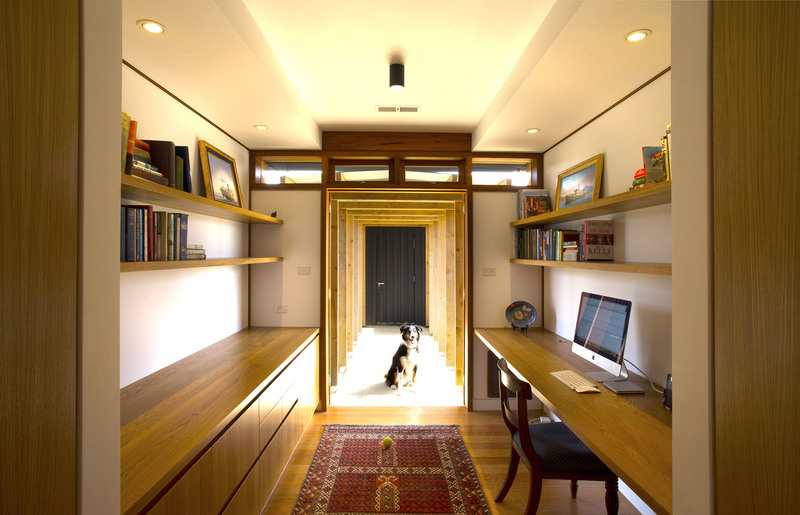 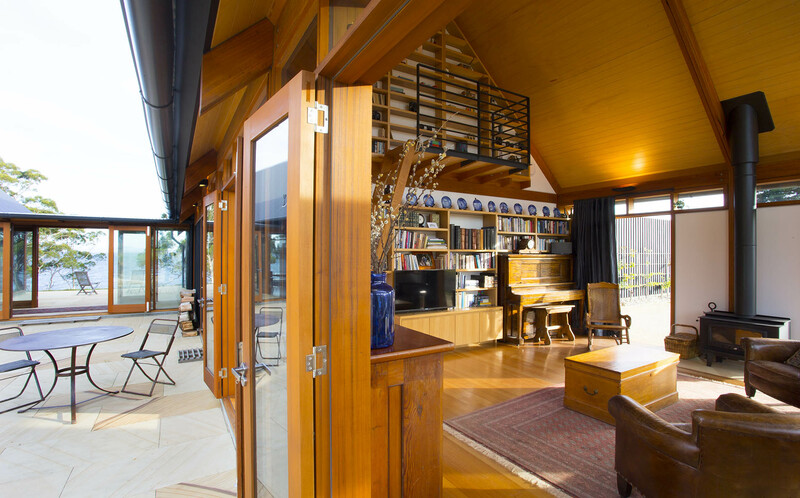 The shorter pavilion is the living area: kitchen, dining and relaxing. 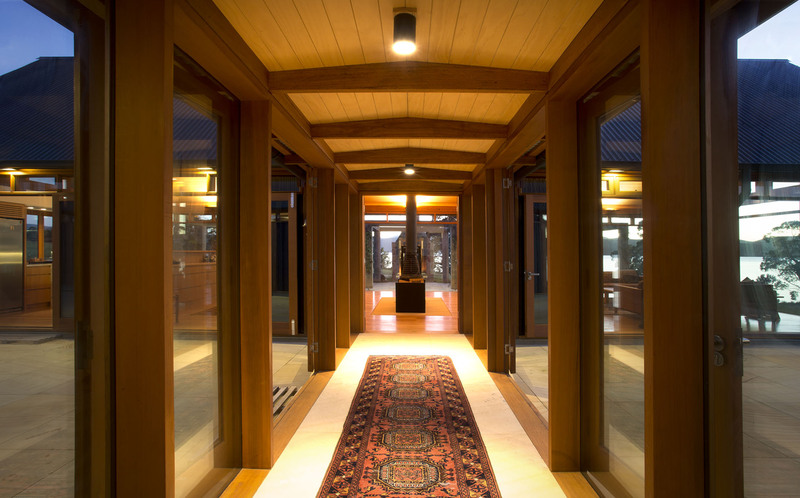 Both pavilions are fully insulated and each has its own wood fires for winter warmth. 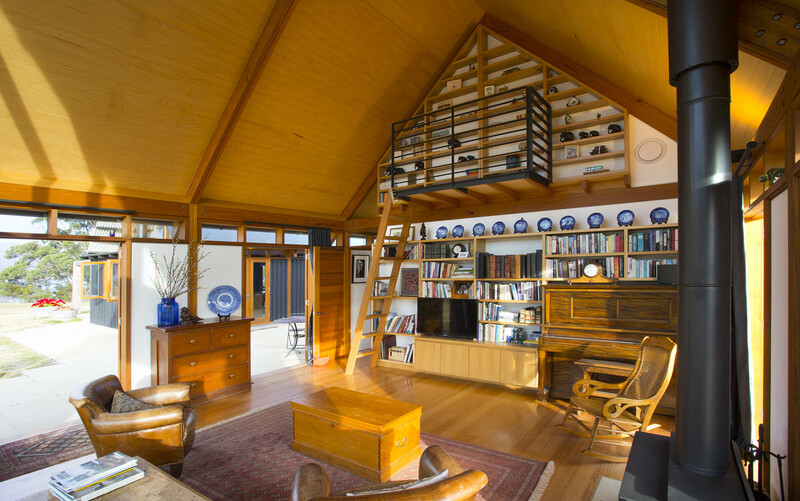 The northern gable end of the sleeping pavilion and both gable ends of the living pavilion are double glazed, adding to the natural light that fill the house. 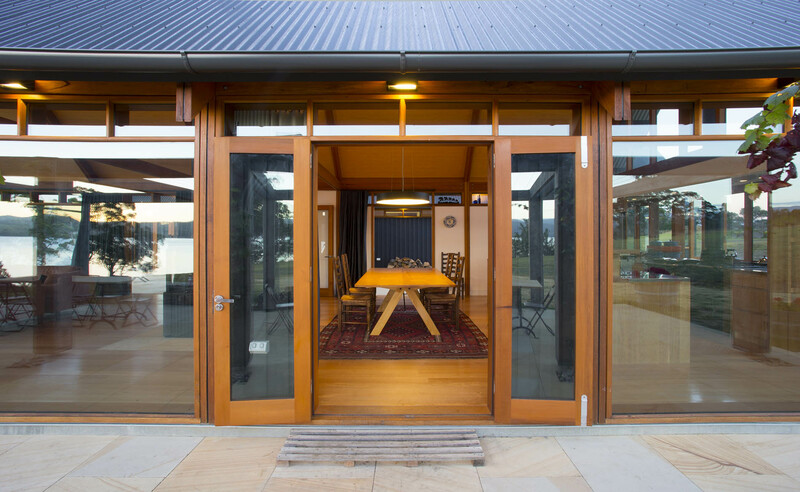 In the heat of summer the many large windows and glazed doors can be thrown open, creating shaded al fresco living. 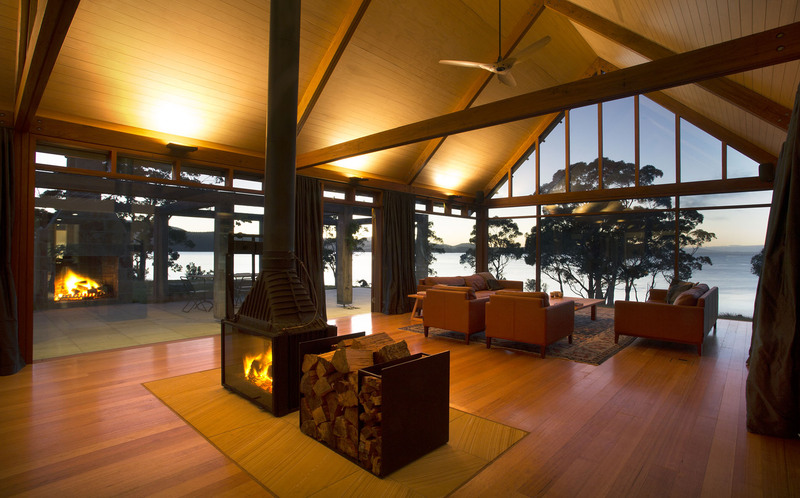 Roofs are Colorbond and interior walls plasterboard. 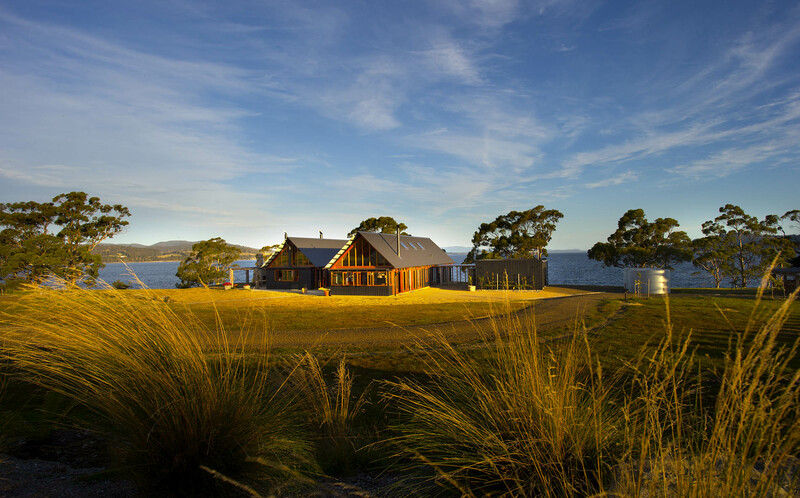 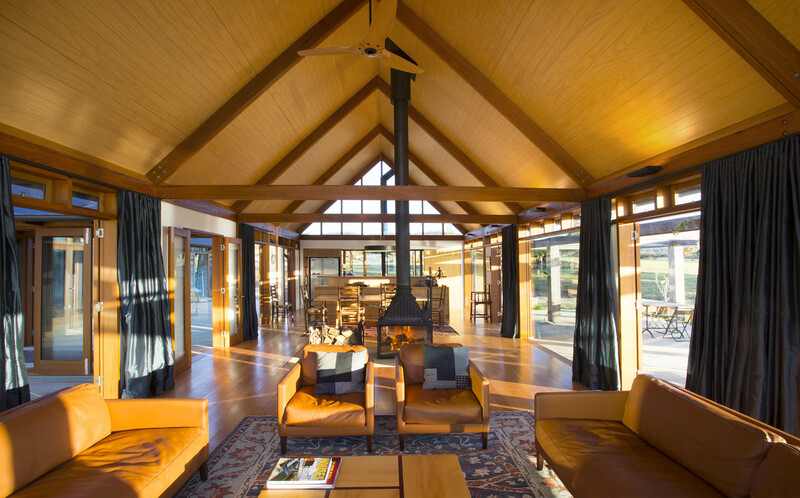 Lavish use of timber creates a natural, rural, character: macrocarpa exterior cladding, hoop pine plywood ceilings, western red cedar window frames, Tasmanian oak tongued and grooved floorboards. 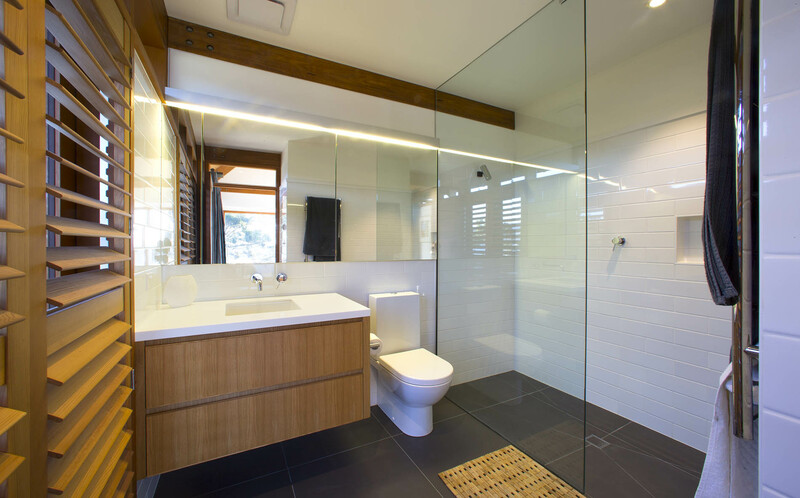 Satin stainless steel door handles and hinges add an understated touch of modern elegance.